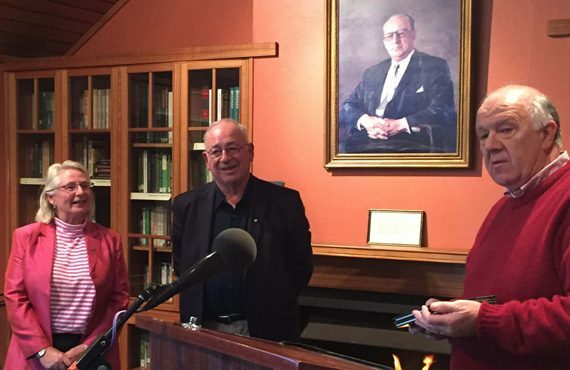 Bradman Library relaunched by eminent writer Gideon Haigh | The International Cricket Hall of Fame. 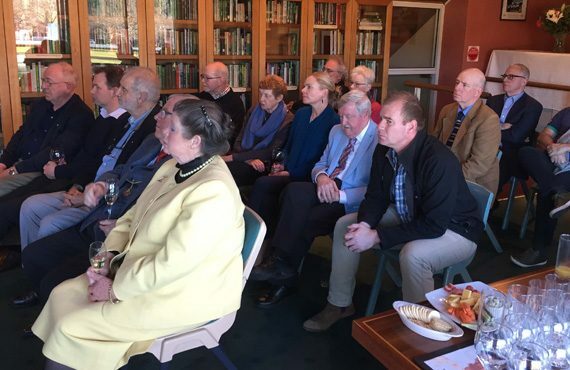 On Saturday 26 August Gideon Haigh traveled from Melbourne to relaunch the Bradman Cricket Library. Boosted by a recent donation of 1,500 impeccable historic and contemporary titles from the book collection of career public servant, cricket administrator, coach and avid reader on the game, Graham Evans AO, the Bradman Library now holds in excess of 2,500 books which are available for use of cricket researchers, journalists, authors and enthusiasts. Since the Museum opened in 1989, it has steadily built a reference library often through generous book donations from its members. Sir Donald Bradman, himself a respected author of several coaching and biographical publications, urged the museum to pay heed to the literature on the game so that those interested could simply find out more about the cricket’s long history, influential personalities, anthropology and technicalities. He had learned much about cricket from his reading as a young man throughout his long life. In opening the Library, Gideon reminded guests of the vital role of Libraries as healers of the soul, increasingly rare places of reflection and renewal in a hectic and impatient world. He emphasised the important role of the book – permitting deep analysis of a subject, an important counterpoint to the 140 character word limit of social media and the often unaccountable content of the internet search engine. 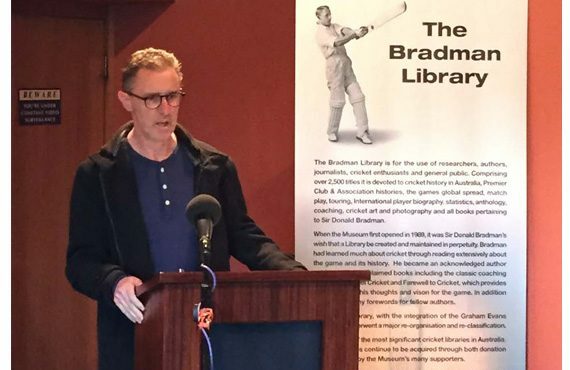 The new Bradman Library, set in the iconic pavilion overlooking the picturesque oval, will be used to underpin the accuracy of the adjacent museum’s content and is available to the public by prior notice. In addition the Library is available for use by community groups and private individuals (up to 50 pax). Enquiries to [email protected] or phone 4862 1247.